I like the Charles River Editors books a great deal for the context and information presented in each of their topical documentaries. 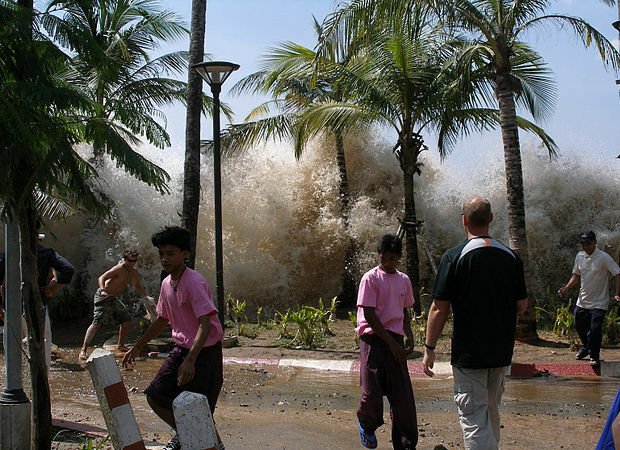 The 2004 Indian Ocean Earthquake and Tsunami report briefly covers the events of the Boxing Day disaster that killed over 300,000 people who were along the shores of the Indian Ocean. The poignant recounting of loss from those who were witnesses and victims is respectfully treated. The collation of the personal stories woven together allowing the reader to get an integrated sense of the events. Although very short in length it contains first hand accounts, photos, historical significance, and statistics that bring that day into factual clarity for the reader. Reference materials are cited for verification of events. Below is the image used for this novel’s cover.